Home › Promotions › June Boom! 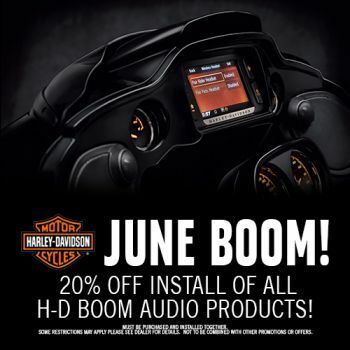 20% off install of all H-D BOOM audio products! Must be purchased and installed together.. Some restrictions may apply please see dealer for details. Not to be combined with other promotions or offers.